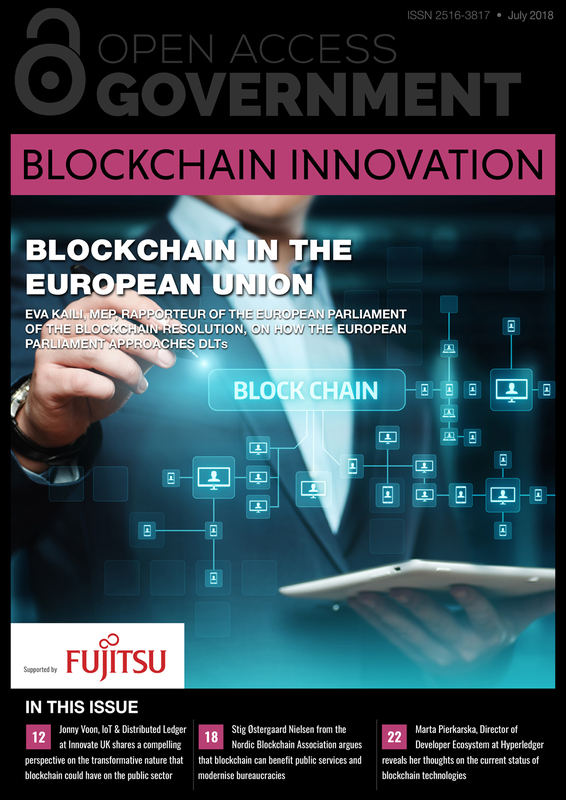 Open Access Government is delighted that Eva Kaili, MEP, Rapporteur of the European Parliament of the Blockchain Resolution heads up this edition. In her article, she explains her thoughts on blockchain technology in the European Union today. This includes the fact that emerging blockchain and distributed ledger applications should be provided with legal certainty and a strong layer of consumer protection. In a key policy article, we warmly welcome the views of Jonny Voon, Innovation Lead – IoT & Distributed Ledger at Innovate UK. In his article, he shares a compelling perspective on the transformative nature that blockchain could have on the public sector in the UK. For example, he argues that the blockchain could have a transformative effect on the public sector. Another UK focus comes from the University of Hull, School of Politics, Philosophy and International Studies, Graduate Student, Tom Jones. He asks if blockchain technology might provide a boost to post-Brexit farming in the UK. I trust that you find the summer edition of this supplement helpful. Please do get in touch with any proposals for engaging content in the future, or if you have any comments on this journal.